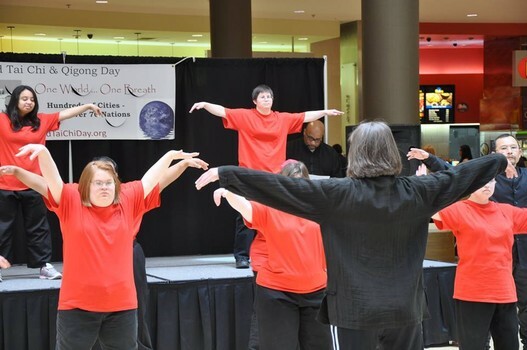 Years ago we launched a very successful Tai Chi program through the University of Missouri at Kansas City with Learning and Developmentally Disabled Students. The parents were amazed and very happy, and told us so after we did a presentation demonstration on graduation day at the school ceremony. The students really enjoyed the short Tai Chi form they learned and the stress management techniques we taught them in conjunction with learning the forms were very beneficial. I learned when the class began that many of the students had chronic muscle tension. Its not hard to see why. Most of us get tight and tense from the challenges of life. For learning and developmentally disabled students those challenges are multiplied. I also recommended to parents they consider adding some regular massage therapy as well as Tai Chi practice. In the classes before we began the Tai Chi learning process, I asked the students how they feel when they are getting into trouble for doing something wrong. They replied I feel tight, I can't breathe good, my heart hurts, my head feels tight . . . all signs of tension. So, I asked them to imagine they were in trouble, and to notice how they felt, and how their shoulders were tight and that they were probably up closer to their heads. Then, I had everyone take in a REALLY DEEP BIG BREATH, and HOLD IT IN. We counted to three, and then I told everyone to let out the breath, and when they let out the breath, let all their muscles get soft and loose, and let their shoulders drop down away from their necks. We repeated this several times at the beginning of each class, and I encouraged students to practice this at home any time they start to feel tight. This also relaxed the students for learning the Tai Chi movements, so the learning came much easier and more fun. The entire class was only about 6 weeks long, so I had to create a short form of about 3 or 4 beginning movements for the class to learn, and then we simply looped the short form so that we had about a 3 to 4 minute form to play each week, and to breathe and let the shoulders relax as we flowed through the movements. Swimming through the air week after week, NOT FOR WORK, but for FUN. On graduation day, I played a selection from Enya's Carribbean Blue in the background as we flowed through the forms. It was beautiful, we were beautiful, some parents cried, we all exchanged high fives, and hugs, at the end, because we all had become closer and more through the process of learning a new expression of Tai Chi and Qigong together. I recommend that all Special Ed classes nationwide, and worldwide begin incorporating skill appropriate Tai Chi & Qigong learning techniques into their larger programs at all age levels. World Tai Chi & Qigong Day would be happy to work with local teachers worldwide to facilitate such programs. Tai Chi and Qigong teachers can develop age appropriate, learning level appropriate ways to teach Tai Chi and Qigong to everyone. 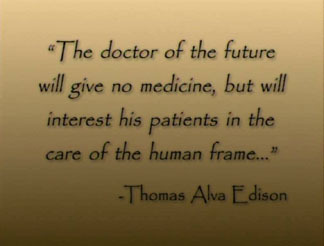 Everyone sufferers from stress in these modern, change at the speed of light, times we live in. However, those with special learning issues face even more stress. When I've taught learning disabled students, I noticed how tight many were, with muscular tension. So, I focused on simple tactile exercises to help them learn to breathe, and let their muscles relax as they exhaled, and then carried that over into the Tai Chi instruction. We taught simple short forms of only about 5 or 6 movements, and then looped them, so there was minimal memorization and maximum flowing relaxed, deep breathing movement experiences. Everyone loved it! The parents were very impressed, some moved to tears at the beauty and focus exhibited in our class presentation at the end of the school term. Is it time to think about uniting the worldwide Tai Chi & Qigong family of health & wellness teachers in mutually supportive efforts? 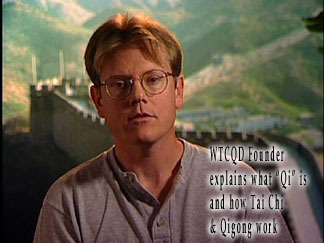 You'll find that www.WorldTaiChiDay.org creates a space where we can all support one another, support the expansion of Tai Chi & Qigong worldwide, and through that support global health & healing. By working together we can envision a day when Tai Chi and Chi Kung are taught in public education worldwide, creating a healthier, clearer, calmer world. Teachers ! Find tips on teaching Tai Chi and Qigong to children in age appropriate ways.